Being a fun-loving person, I enjoy spending time with children as witnessing their learning and growth is like a train ride full of surprises. Both my friends and my colleagues consider me as a trustworthy and reliable person. I have a teaching degree for children aged 0-5 and I have been working for more than five years in child care centres. I am very passionate about my work and I really enjoy working with families and children. I have been babysitting for five years. I work full time but I can babysit on weekday nights and weekends. 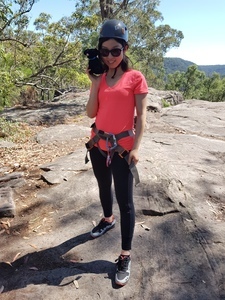 "The children liked spending time with Yuqi, she is confident and professional "
"Yuqi has come multiple times and always does a wonderful job"
"Yuqi is wonderful managing the children, very organised and professional every time. Highly recommend"
"Yuqi had the children on a day when they were being difficult and she handled it like a true professional. She was wonderful with both children and I would highly recommend her services in the future"
"Yuqi is amazing, my 14 months old loves her and does everything for her! When Yuqi is around my boy doesn’t even want me anymore! I would certainly recommend Yuqi to all my friends, and can’t wait to have her back again in the near future! " "Yuqi was wonderful- our 2.5 year old son warmed to her immediately and was still talking about her the following morning. We would happily have her back any time. " "Yuqi is absolutely amazing she was so great with my child 7 months 2 & 5! she is so reliable and the kids loved her as well as us! Great reference & we can now see why! "